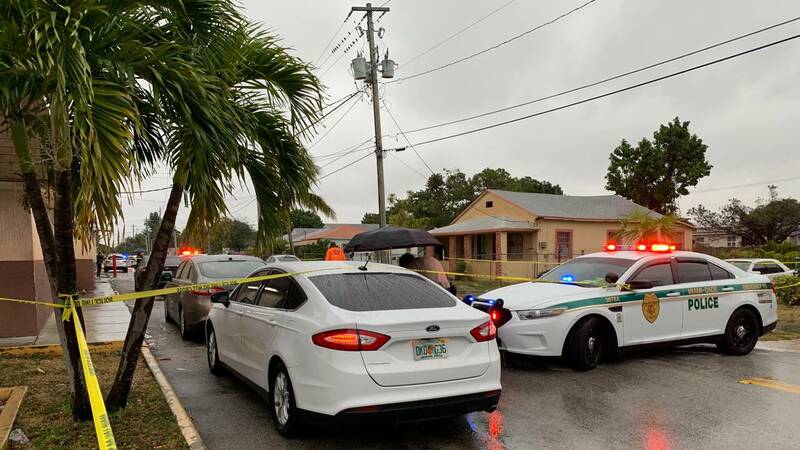 Detective Alvaro Zabaleta, a spokesman for the Miami-Dade Police Department, said Shane Danielle Tompkins, 41, and Delande Rock, 41, and were talking just after 6 a.m. near Northwest 70th Street and Northwest 17th Avenue when Tompkins' boyfriend, Nate Mincey, 32, confronted them. Mincey fatally shot Tompkins and wounded Rock, Zabaleta said. Mincey then turned the gun on himself. Rock fled and was found by officers a few blocks away near Northwest 18th Avenue and Northwest 65th Street. Paramedics transported Rock to Jackson Memorial Hospital. He was listed in stable condition. At the scene, a tarp covered a body next to a silver SUV as police investigated. Friends and relatives of the victims converged on the scene early Sunday, but they declined to speak with reporters. Mincey, a personal chef, worked with Tompkins at a catering business called 2DudesandaGirl. Former Miami Dolphins player Bryant McKinnie gave the company a glowing review on social media in August. 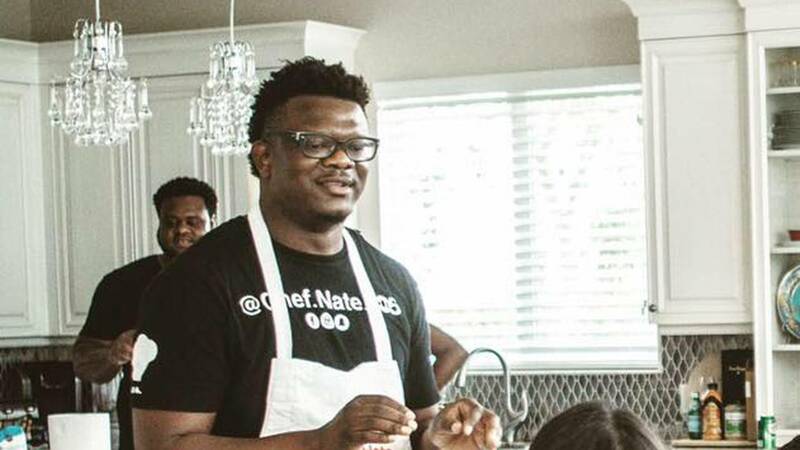 Nate Mincey worked as a personal chef in the Miami area.